MFRM Student Excited About Opportunities, Possibilities in Risk Management - SchoolFinder.com! 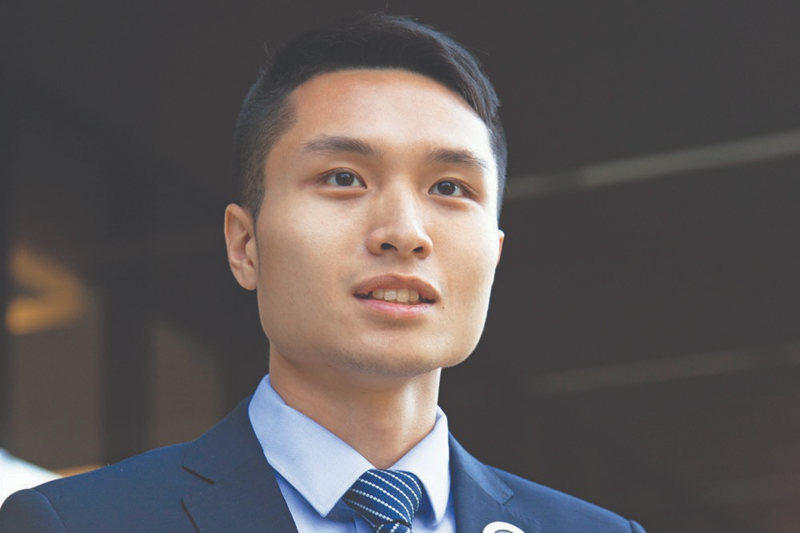 When Jacky Chen (MFRM'17) was just a few months shy of completing his bachelor's degree in science at U of T, he was uncertain about what to do next. Though he had majored in Financial Economics and Statistics, Chen wasn't keen on finding a job as a number cruncher. He was eager for an opportunity to work with people, and wanted to use his knowledge in quantitative theory to develop creative solutions. "Risk management is a mindset that you develop over time. It?s a thought process that can help you make educated decisions and become a business leader.? Realizing this, Chen applied to the Master of Financial Risk Management program at the Rotman School of Management, an intensive eight month program that equips recent graduates and young professionals with the fundamentals of risk management and trading. The MFRM program at Rotman is tailored for students like Chen, who are looking to hit the ground running in finance. The program extensively covers credit risk, derivative models for risk management, investments, pensions, and other areas of finance. The sense of community is a core strength of the program, says Chen. He was surprised to find that so many big names in finance - including John Hull and Peter Christoffersen - were not only teaching classes but were quick to respond to emails and offer advice for job interviews. ''In the classroom, everyone felt comfortable raising their hands and asking questions,'' he says. Chen also said that the close-knit class '' which included graduates from various undergraduate programs '' learned an impressive amount from each other. These classroom teachings and group discussions were particularly useful to Chen when he set out to tackle a real-world financial risk problem,a key part of the MFRM program. ''There's definitely differences between what you might have read in a textbook and what actually happens in the market,'' says Chen. For his eight-week project, Chen tested a risk model recently developed by the BMO Financial Group. With guidance from managers at the bank and his faculty advisor, Prof. John Hull, Chen evaluated whether the model would stand up against today's very low interest rates. The project also confirmed Chen's interest in working with people and supporting groups in taking educated risks.